Let’s face it, every entrepreneur, artist, business owner and change maker has brand issues. If they’re serious enough, they’re going to shoot you in the foot — and just get in the way of your success. 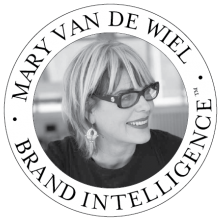 Creative strategist and brand storyteller Mary van de Wiel calls that a serious issue. • a new paradigm shift is inviting us to bring a different kind of humanity back to the table. 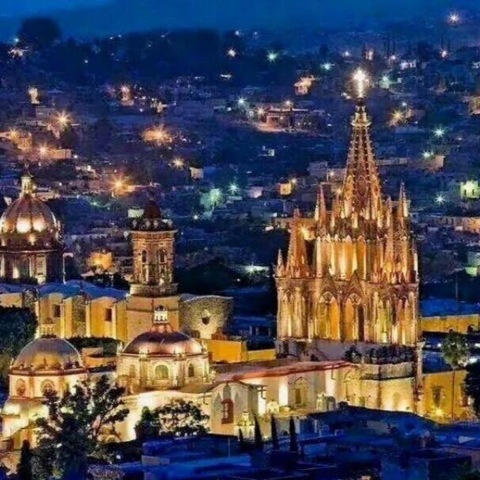 • all the rules are changing: the world has never been as transparent or connected 24/7. • this is the new Social Era. Some call it the Era of Engagement. Whatever you want to call it, if you want to cut through the noise, you need to show up and join the conversation. • keeping people (your clients, customers, audience) at arm’s length or keeping a low profile is no longer an option today. With all these accelerating levels of uncertainty, the business of creating an irresistible brand, and a reputation to go along with it, has never been more critical. Note: Google recently announced they’re only rewarding and ranking people and organizations with relevant brands and irresistible stories to tell. It’s the key to wining hearts, inspiring minds and capturing the imagination of customers. After this highly interactive roll-up-your-sleeves workshop (over two afternoons), you’ll walk away looking at your brand through a different lens: You’ll have a new sense of clarity, a keen understanding about why you do what you do, and how to create messaging that hits home. 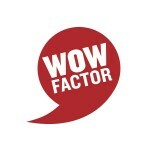 — We look at neuroscience, mindfulness, EQ and their impact on all that you do. — We’re all longing for more meaningful experiences. Transactions don’t resonate as much. — It’s not about winning. It’s about inviting people to engage in a different kind of conversation. — Your values define who you are and shape your reputation. — Fact: “68% of people choose not to buy from you or your organization because they can’t tell the difference between you and the other guy.” Values close the gap. * Your brand communicates subliminal messaging to the world 24/7 (whether you know it or not.) It’s never been more important to be mindful around creating an irresistible brand. * We live in a customer-centric world. So your brand need more clarity in order to make more meaningful connections that matter to people. * Your values shape and define who you are, what you do and why you do it. When you can identify and champion your own values (own, live and breath them), the brand story you tell is much more compelling. People will feel the difference. * Emotional intelligence and self-awareness are today’s meta-skills for for an irresistible brand. Courage and the desire to be transparent is always going to land a higher score with people. 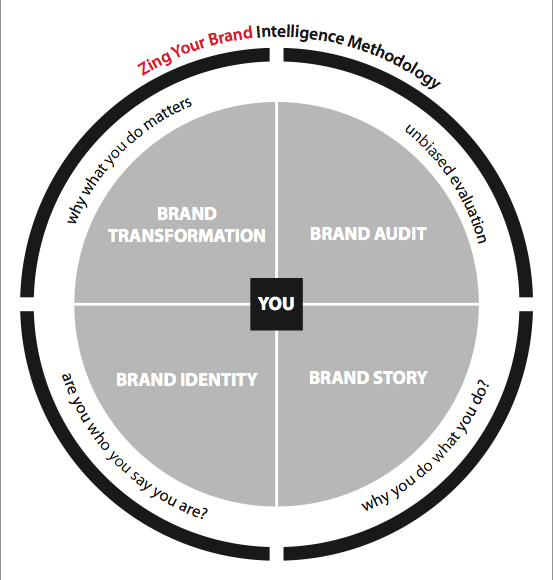 * Developing your own core brand story is an emboldening strategy. Genuine, personal and relevant stories always hit home. Any questions, get in touch: Email van@zingyourbrand.com. 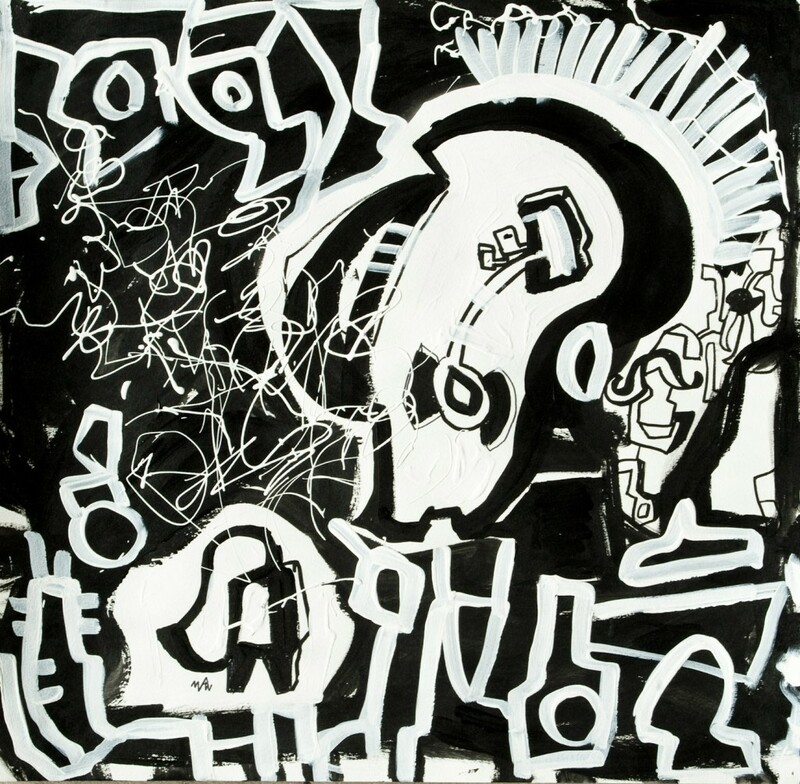 Playful, bold and exuberant, Black Line Boogie presents a collection of black and white artworks that celebrate the power of line and spontaneous mark-making. There are works on paper and canvas, and functional and sculptural ceramics, all of which make high-drama mileage from simple means to create a dynamic immersive black line environment. Longtime friends and creative colleagues, van de Wiel and Howlin had each been, independently and quite coincidentally, pursuing a visual arts practice in which black line plays a major role. It was only when the idea of exhibiting together was suggested by gallery owner Kitty Wong, that this resonance leapt out as a joyously uniting theme. Black Line Boogie captures their shared feeling of play, a black-line frenzy. The collected works bounce off and respond to each other in a fanciful kind of dance. In Black Line Boogie, she explores creativity, re-invention and the freedom to draw ourselves into new stories and feelings – and a new way of being. Always the incurable doodler, she put aside her sketch books three years ago and began to scale her work big, bold and impulsive. 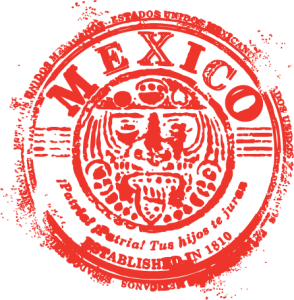 It started with black house paint on a wall in Mexico, exploded floor to ceiling in Manhattan and then trailed over every Sydney opportunity. From murals to gallery windows to three-legged stools, fabric, chairs — wherever there’s an chance to play. This is van de Wiel’s first exhibition in Sydney. Her exuberance as a design thinker was well-known in Australia before she moved her branding business to New York in 2000. She now paints her way back and forth across the Pacific. Jan Howlin came to black line some years ago when she began exploring it as a means of dramatizing and accentuating the volume and curvature of her hand-built functional ceramic forms. By staining clay black and sandwiching it together with a plain clay body she created a material that contained line-work as an inherent element, and she enjoyed the graphic simplicity and unpredictability that resulted. Her more recent sculptural work also relies on black line to accentuate form and volume, but it is achieved through different means. This finer, looser line-work creates a vitrified finish and a textured surface that traps glaze or pigments. 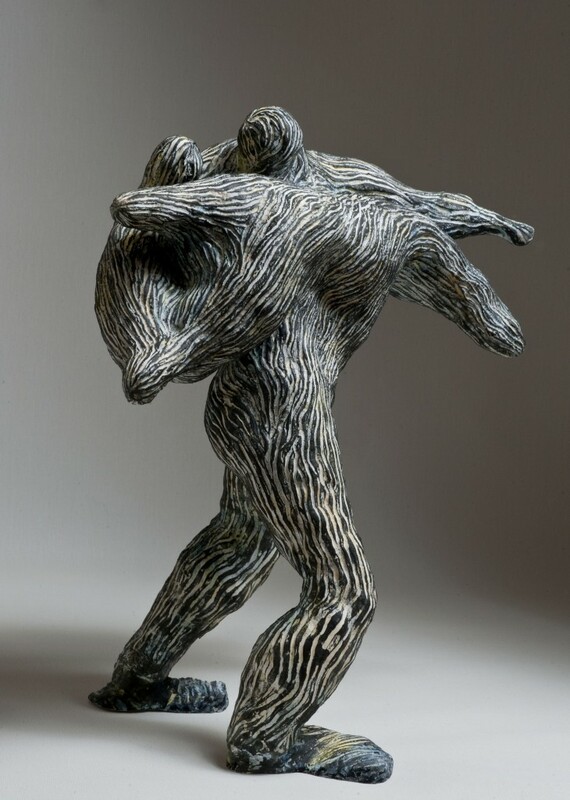 At the same time it adds vigour to the figures she creates and life to the ideas behind them. 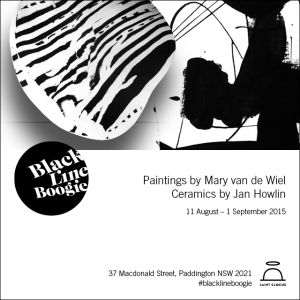 In bringing the work of van de Wiel and Howlin together, Black Line Boogie presents a dynamic, hand-drawn, hand-made environment, a buzzing fusion of black and white that brims with energy and delight. THE BACK STORY I’ve been an incurable doodler all my life. 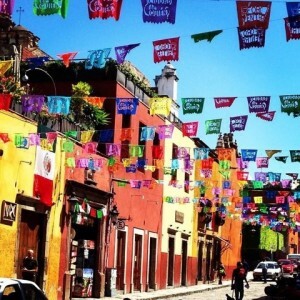 It was only three years ago when I was in San Miguel de Allende, Mexico that I first felt compelled to climb a ladder and start painting larger than life – as in: floor to ceiling. A can of black house paint and a roll of gigantic paper taped to the wall was all I needed. You should have seen me. I sighed in happiness. Fast forward to landing in Sydney 20 months ago: Working, running NY Brand Labs, speaking and tutoring at The University of Sydney Business School/Masters Program, and painting. I found a studio in Paddington in December 2014. Over the moon. It was earlier this year that I met Kitty Wong, owner of Saint Cloche Gallery – thanks to interior designer Jane Stark. Kitty had already seen my work here on blacklinecrazy.com and asked where I’d exhibited before? I gasped. I’d never been asked that question. 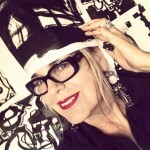 FYI Kitty is passionate about many things and particularly, exhibiting an eclectic mix of paintings and ceramics. So I’m thrilled to be collaborating with my longtime friend, writer and ceramist Jan Howlin. 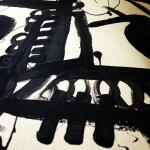 We’re showing our work together, Black Line Boogie, and it celebrates the power of black line and mark making. It’s my first show (not for Jan who has exhibited in Sydney before), and it’s been an incredible adventure. (Understatement.) I feel grateful that I’ve had the help, insights, support and incredible encouragement from so many friends here. Deep bow.